The Shamrock Shuffle 5K is a 3.19 mile route around scenic Hampden Park in Mechanicsburg, PA. The route has a total ascent of 43.11 ft and has a maximum elevation of 455.54 ft. The course is flat, paved and well maintained. 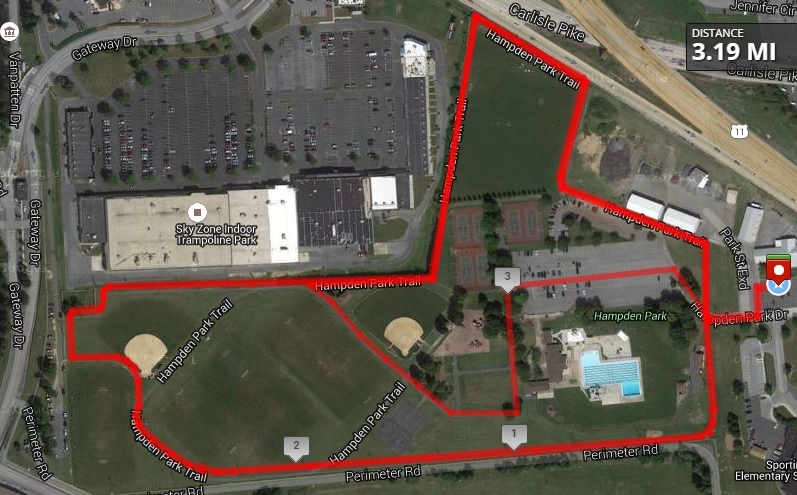 The chip-timed start and finish will be located at the Hampden Township Recreation Building, adjacent to the park. Ample parking is available onsite along with indoor restrooms.